Editor's note: I had the good pleasure of meeting a remarkable man, last month. Lloyd Noble II and I were among the massive crowd of Oklahomans who attended the funeral of Mark Costello. Afterward, in the foyer, I noticed Lloyd Noble standing off to the side and I had to take the opportunity to greet him. I had just placed him in nomination for the 2015 Defenders of Liberty Awards for grassroots activism. Lloyd was unaware and a bit withdrawn. He appears to be a quiet man. Last winter I spoke with Randy Brogdon about the impact Noble has made, not only on Oklahoma history, but in leading a national movement to reform government. Randy told me great stories about Lloyd and when I suggested that the GOP should publicly honor him, Randy said he'd do his best to get Lloyd to show up for the event. On September 18, 1990, Oklahoma voters became the first in the nation to limit the tenure of their state legislators. Since 1990, the movement has spread with term limits being applied to city, county, and state officials across the nation. Almost half of these states also elected to limit their congressional delegations; however, the United States Supreme Court in 1995 found such state-enacted congressional term limits violated the Constitution. 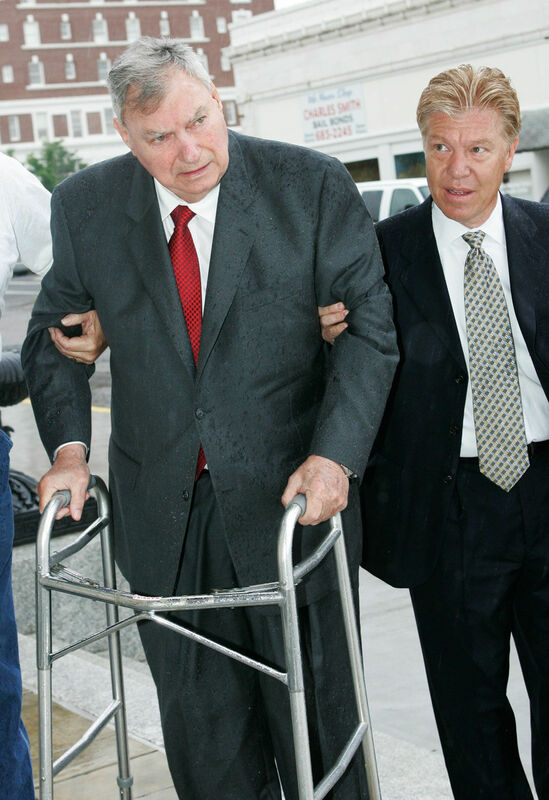 Oklahoma is an important state to examine in the development of the term limit movement in the United States. In addition to being the first state to enact term limits, a term limit initiative of some form has appeared in the state at least three times since 1990. An analysis of these initiative campaigns partially illustrates the history of the national term limit movement. Here we examine the campaigns in Oklahoma as a portrait of the national movement and provide some indication as to the effects of term limits on politics in the Sooner State. When Oklahoma voters approved State Question 632 in 1990, term limitations appeared to be a novel idea. By supporting the initiative, voters indicated that they believed the legislature had become too insulated, unresponsive, and self-indulgent. Examples of the legislature's self- indulgent behavior in the late 1980's included stopping the state capitol clock to block constitutionally mandated adjournment. An independent compensation board enacted a pay raise while a House Speaker was overthrown. 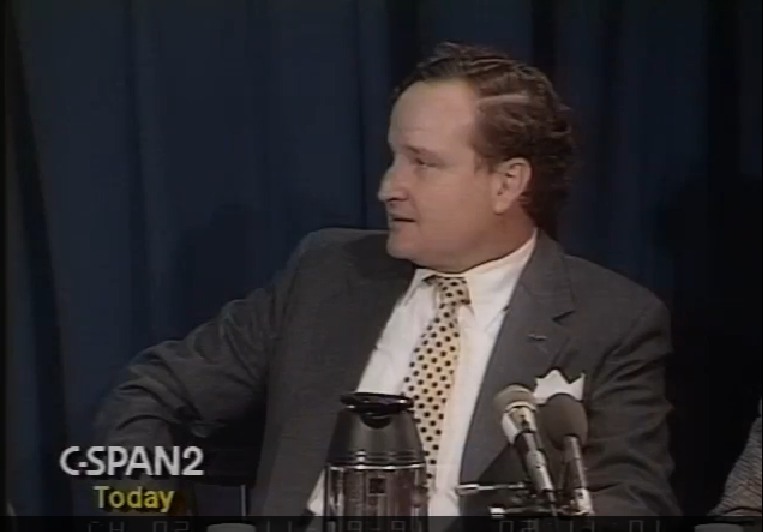 By 1990, voters were understandably upset with their legislature. The campaign which led to State Question 632 was guided by one person, Tulsa businessperson Lloyd Noble. 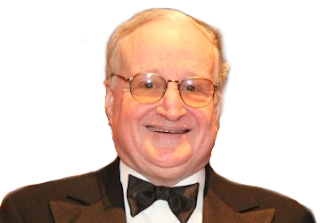 A self-described "arch-conservative," he believed that state legislators could be restricted through term limits. After a constitutional revision commission refused to consider legislative term limits, Noble decided to try the initiative route. 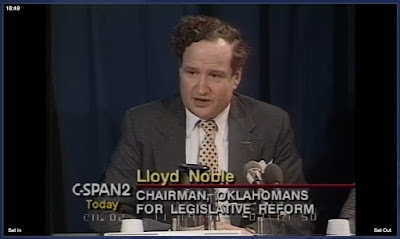 In the fall of 1989, Noble received approval from the Oklahoma secretary of state to circulate a petition limiting state legislators to twelve years. The proposal, written by a group of Oklahoma lawyers who had experience in the Legislature, was a lifetime ban on more than twelve years of service, including years served in either or both chambers. For example, a member of the State House who served four years in that body and sought election to the State Senate would be able to serve only eight more years. Noble, working with his organization "Oklahomans for Legislative Reform," circulated the petition during the winter of 1989-1990. The circulators were able to gather the second highest number of signatures ever on an initiative petition in the prescribed ninety-day period. The signatures were certified by the secretary of state, and the certification was validated by the State Supreme Court. After the signatures on the petitions were validated, Noble was able to persuade Republican Governor Henry Bellman to place the question on the primary runoff ballot in September, ahead of Colorado and California, which had similar initiatives on their November 1990 general election ballots. State Question 632 was approved by voters by a margin of almost two to one, in part due to the absence of any significant opposition. Much of the credit for the success of the first term limit initiative in Oklahoma can be granted to Lloyd Noble. Oklahomans for Legislative Reform, the leading pro-term limit group, was bankrolled primarily by Noble and members of his family. The total budget for the campaign including advertising was $220,000. According to campaign finance reports filed with the state, most of the money was raised instate. Clearly, the first term limit initiative approved on a stateside basis in Oklahoma was, like in other states, a local effort. 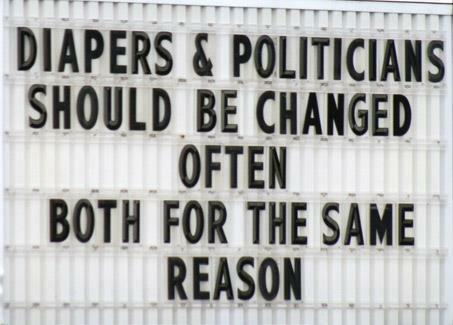 However, soon after, term limits became a genuinely national movement. 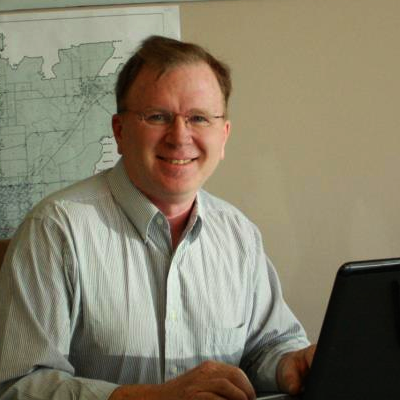 Mr. Noble resides in Tulsa and manages a trust company. His office is in Downtown Tulsa.